It was a late spring morning, and I was driving to Estral Beach on western Lake Erie to participate in a banding effort for osprey – a large, majestic, fish-eating bird with nearly a six-foot wingspan. My destination was the Strong Unit of the Detroit River International Wildlife Refuge, where I used to work as the refuge manager. 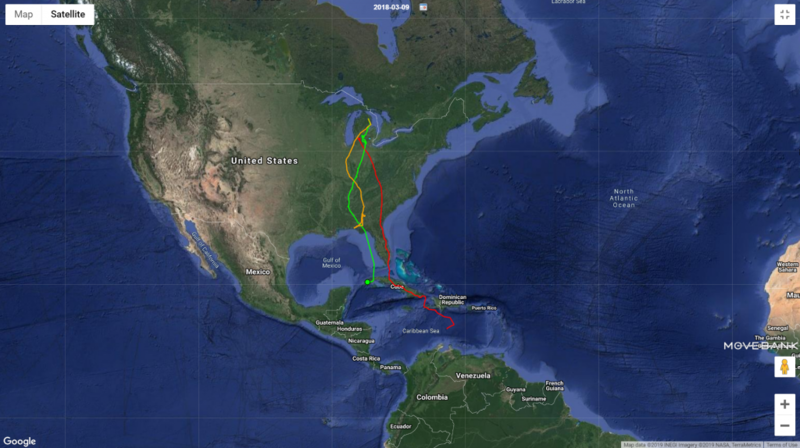 As I arrived, a circle of people surrounded a woman who was fighting with every ounce of her strength to hold onto an osprey while a band or tag was placed on the bird’s leg and a backpack antenna was placed on the bird to track its migration down to Central and South America. This woman was wearing very large leather gloves, by necessity, so that she would not get injured from the osprey’s massive talons. Jensen began as a volunteer in 1998 at Kensington Metropark at the onset of a 10-year osprey reintroduction project. 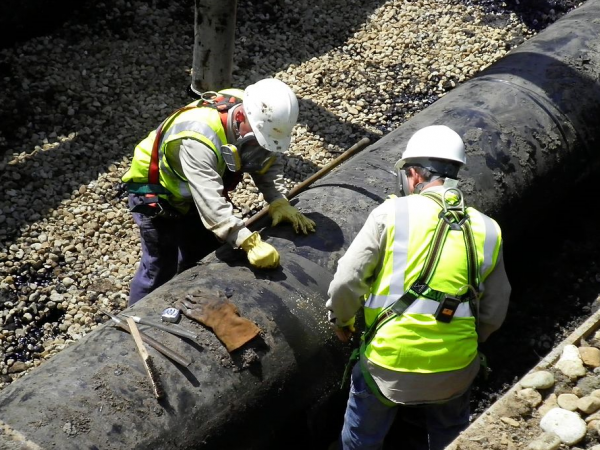 This project was initiated by Michigan Department of Natural Resources DNR and included Huron Clinton Metropolitan Authority, DTE Energy, and Detroit Zoo. Twenty years ago, Ospreys were extremely rare, with only one active Osprey nest in southern Michigan in 2002. Ospreys, like other top predators like bald eagles and peregrine falcons, were negatively impacted by use of the pesticide DDT in the years after World War II. The biomagnification of DDT and other pesticides in the osprey’s bodies resulted in brittle, extremely-fragile eggshells. The body weight of the parents, as they sat on nests, broke the eggs, and very few young were born. DDT use was subsequently banned in Michigan in 1969 and the remainder of the U.S. in 1972. 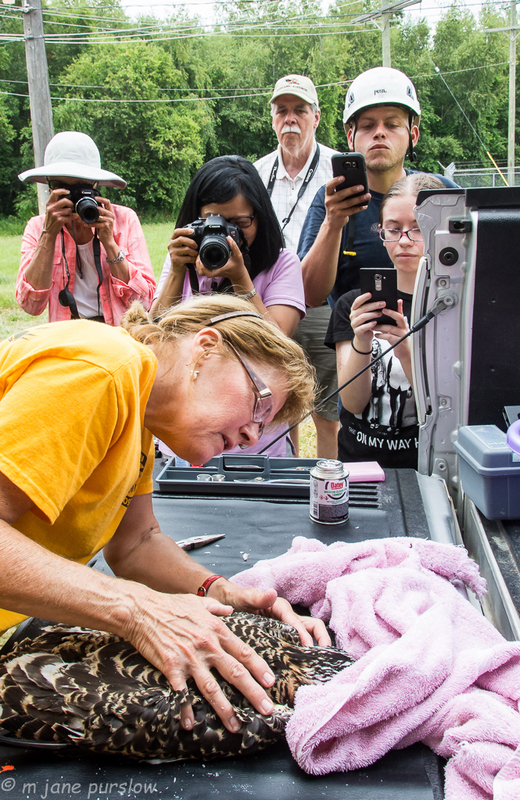 In 2003 she began working in northern Michigan alongside Sergej Postupalsky, a respected scientist tracking the osprey population statewide and researching the impacts of DDT and other pesticides since the 1960s. Postuoaksky took her under his wing and her passion grew even more. As a child, Jensen always loved nature and explored all the fields and woods near her home. As a teenager she then worked for a veterinarian and hoped to one day wear that hat. Instead she graduated from college and taught elementary students. Many of the lessons she created, books she read to her students, and student field trips she arranged focused on nature. 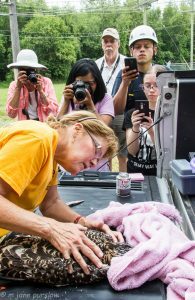 During her teaching career she lived next door to Kensington Metropark, and this only fueled her passion for wildlife. For over two decades Jensen has been involved in osprey conservation efforts, first at Kensington Metropark, then through Osprey Watch of Southeast Michigan, and now playing a key role in Michigan Osprey, a citizen science organization devoted to tracking and restoring the osprey population throughout Michigan. 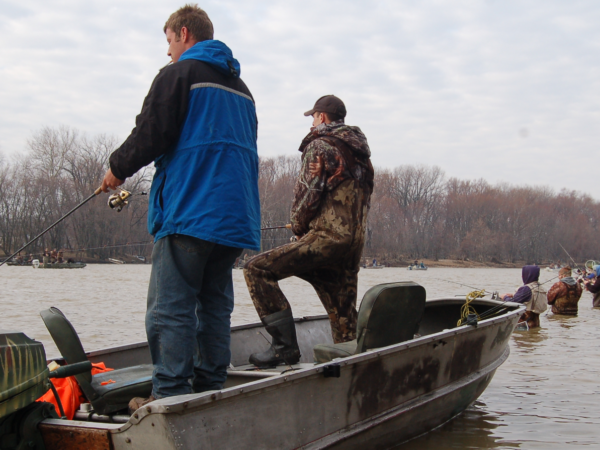 Jensen believes that awareness is key to protecting ospreys and indeed ourselves because we share the same ecosystem. Ospreys are sentinel species that currently nest atop human-made structures. This provides a unique opportunity to teach adults and youth about these birds and expand their knowledge of the importance of habitat. 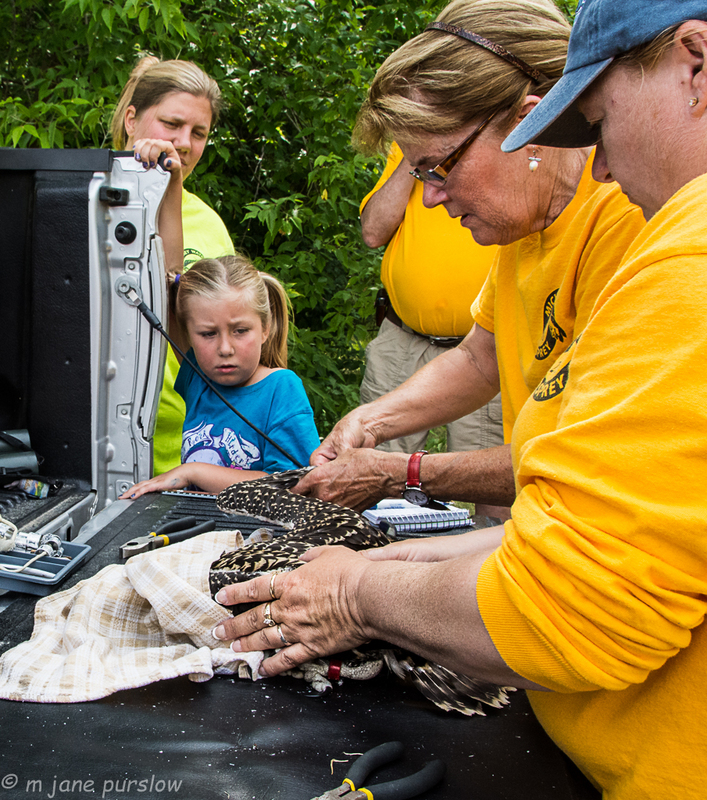 Allowing folks to become “up close and personal” with the birds during banding helps grow a passion and helps develop a conservation ethic. Many high school students, Eagle Scouts, and others have been bitten by the osprey bug and are now part of the team building nesting platforms, monitoring nesting success, and sharing their knowledge and passion for ospreys. 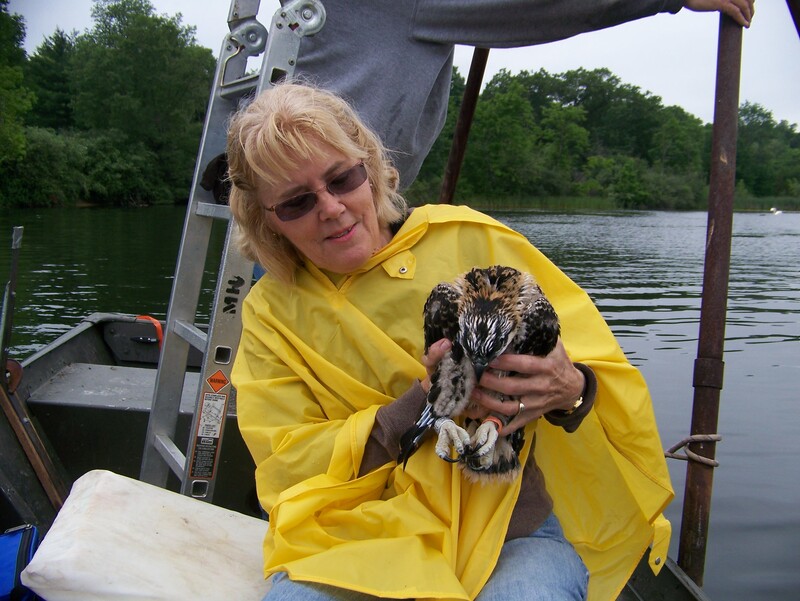 Throughout Jensen’s over 20 years of involvement in osprey conservation she has watched the population go from only one nesting pair in the southern half of Michigan’s Lower Peninsula in 2002 to now more than 75 known nests in the same region. Michigan Osprey reports that the management goal of 30 nesting pair in the southern half of the Lower Peninsula was achieved in 2010, 10 years ahead of schedule. In southeast Michigan alone (Wayne, Macomb, Oakland, Livingston, Washtenaw, Monroe, and St. Clair counties), there were 38, 50, and 52 nesting pairs in 2015, 2016, and 2017, respectively. As a result, the Michigan Department of Natural Resources has upgraded osprey from “threatened” to “Species of Greatest Conservation Need.” In the U.S., it is also still protected under the Migratory Bird Treaty Act of 1918. 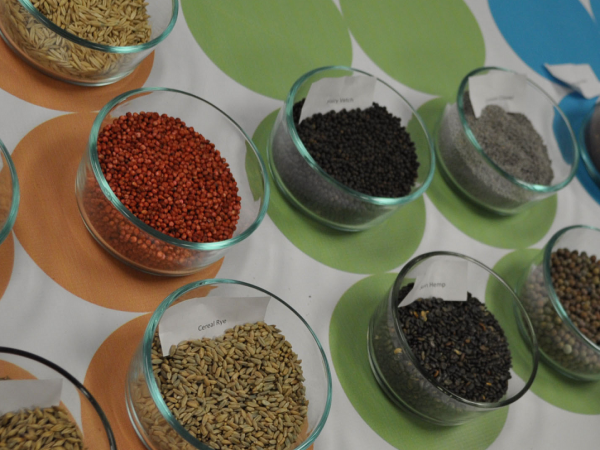 Click HERE to see the current list of Species of Greatest Conservation Need. 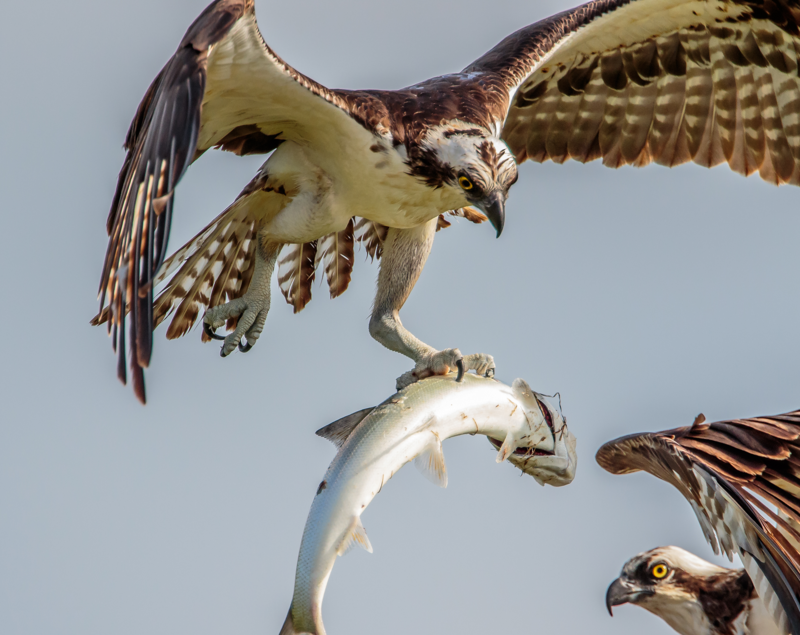 Jensen believes that we need a new generation of people to advocate for osprey safety and their habitat, and to educate the public about the important role ospreys play as a “canary in the coal mine,” serving as an indicator species and early warning signal of ecosystem health problems. The return of Osprey in southern Michigan is clearly a conservation success story. And we all should be thankful for the conservation work of the Osprey Lady of Michigan – Barb Jensen. For more information about this charismatic megafauna and how to get involved in conservation efforts, click on the tracking map.